Finally the inspirational book is ready for release. This is a labor of love by 27 authors/bloggers who have contributed so that the book would come to fruition. 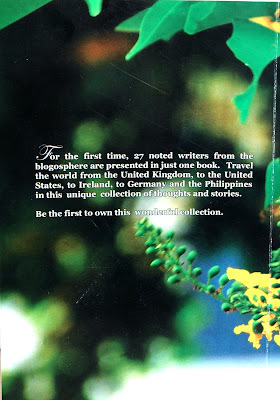 It’s a rare anthology that each book collector should own. Here’s your chance to buy yours. FOR THE CONTRIBUTORS, I APOLOGIZE FOR THE DELAY. I’LL START MAILING YOUR COPIES NEXT WEEK. THANKS. 4. 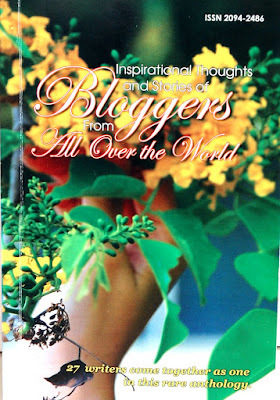 Turning Bloggers into Published Writers by Rey Jr.
That's for the birth of your inspirational book, an anthology of writings by 27 writers. This time let's be generous and call ourselves writers. We've got ourselves a book! Ahahaha. Yeah, boy. Congrats, Jen. What a great achievement. Not a promise to buy a copy but hey who knows. . .
Congratulations on a work well done! Whew, yes finally. Ang hirap pala…(it's hard work). I was so stressed out in the printing process, so many things to attend to…but it's all worth it. Congratulations. You are right Jan, it's like giving birth to a new baby…he he he …old baby? You're a published writer officially now, Jan…Hurray! Eugene was happy with my choice piece for you. Congratulations. Hello Ditesco, that would be wonderful. Thanks. It has been a long time dream for all of us. I look forward to having you with us in the next issue…Cheers. Thanks and it's a unique book- a collector's item. Thanks for dropping by and all the best. This is so exciting, Jen! Congratulations. Thanks, I clap for all the authors in the book. Hats off! Indeed, it is. Thanks for being part of it and for introducing me to Vivian. yehey! I got my copy! The cover looks super, Jen. Can't wait to get my copies. I'll start mailing your copies next week. I'm glad you like the cover. Best regards. Yes, it's Eugene. He loves that post you made and I do too. I'm so glad it made you happy. Congrats, author ka na…Yehey! A big hug to Mam Jena. Congrats! And kudos to all the writers who participated. Yay! I am so happy that I am part of this great project. Thanks Mam Jena for inviting though I responded with hesitation and submitted my story late…ehehhe! Congratulations Jena…..but what is this book? A real book with cover or an e-book? From the looks of it, it looks like a traditional book, isn't it? When are you gonna write your own book? wow! congratulations! I am so proud of you!. The cover looks very nice, indeed. I can't wait to have my copy! I will write a post about this book, kumare. I hope and pray it will be a bestseller. Hug back to you. Congrats and yes, published writer you are. Bravo! Oo nga, in the nick of time ang story mo. But it's well worth it naman. Your story is so inspirational. Congratulations! Hi Bing, thanks. Yes,this is a traditional book and not an ebook. You could buy a copy from ebay or directly from me. I know you'll enjoy the book. All the best. I love the cover too, it's a work of art by its own. Photographed by Jerome- JerBp a newbie , but nevertheless a talented one. Thanks in advance for the post. I'll be sending your copy to your sister, or have you changed your mind? Excited to get my own copy too. Then, I can sell it to my friends. Yes, Doc Z. Everyone is excited. Congratulations again. wow! Doc Z! Congrats! I want to get a copy of this. But will still have to prepare the money hehehehe. Wow! finally the long wait is over. Don't worry Doc Z, I'll call our dispatcher tomorrow to follow up on our schedule of delivery in … Secret place. Jena, you have done an amazing job of encouraging, collecting, editing, and promoting this lovely anthology. I am honored to be included among the authors. Best wishes for a tremendous success! Congratulations to all the contributors for this project. All right, I'm glad to see you got her published, way to go. Now I'll have to go and get myself a copy. good …..atlast a book for beginners…..good work….. Anytime available naman. No worries. Cheers. Congratulations too, published writer ka na. he he he…bravo! Thanks and congratulations too. I'm deeply honored too for having you in this book. I know readers will find your article significant. Yes, congrats to all the contributors. Way to go! It is finally out. Whew, it has been toxic but it's well worth it. Cheers. Good for beginners and the non-beginners too. Nice to see it's now a reality. I look forward to receiving my copy. Congrats, Ms. Jena. Can’t wait to receive my copy, and rest assured that I will share it to my friends and convince them to get a copy too. Hi Jehz, thanks. Congratulations to the authors. Coming soon, Congratulations! You’re officially a published writer now. Congratulations , this is another article to your cap. Thanks I love it too, but still so many things to do. 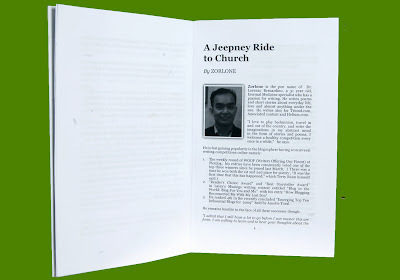 Congratulations, you’re one of the contributors to the book,. All the best. I must buy this book. I heard that this one is a great book. A must buy book. Yes, you should. All the writers are great! We have also previously published authors there. Many congratulations for this fabulous achievement. I am also planning to buy this inspirational book. Hope I can learn a lot from it. Thanks again for the info.